Perhaps you’ve heard this famous proverb before. Maybe our Georgia winter has got you feeling like we’ve already experienced the lion. Many yards and landscapes in the Greater Atlanta area have taken a beating with the snow and ice. We have tips to help with your landscaping endeavors as spring is quickly approaching. Heavily prune overgrown plant material. Lower the cutting heights of warm season grasses. Continue the flower maintenance that you began in October. This should include deadheading (removing dead flower heads), fertilization, and weeding as necessary. Begin inspecting for insects and possible tree, shrub, or turf diseases. Make sure you treat these as necessary. In order to control spring weeds, apply a pre-emergent to your turf and planting beds. If you have weeds that have already made themselves present, apply a post-emergent. Fertilize trees, shrubs, and groundcovers. Install Balled and Burlapped trees and shrubs. Install new mulch in shrub beds. Begin installing new perennial plantings. We can help with any of these tasks in your yard, or home-owners association. 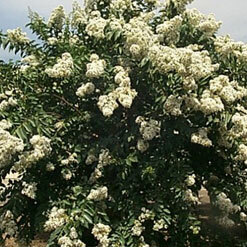 Perhaps you looked over this list and realized that you do not have any Crape Myrtles in your yard. We specialize not only in landscape design and installation, but also in maintaining a beautiful landscape year round. Contact us today for a quote regarding our installation and maintenance services.